like in a blaze on his new album! previous releases, over 15 tracks, he wields the biro where otherwise only therapy could cure. 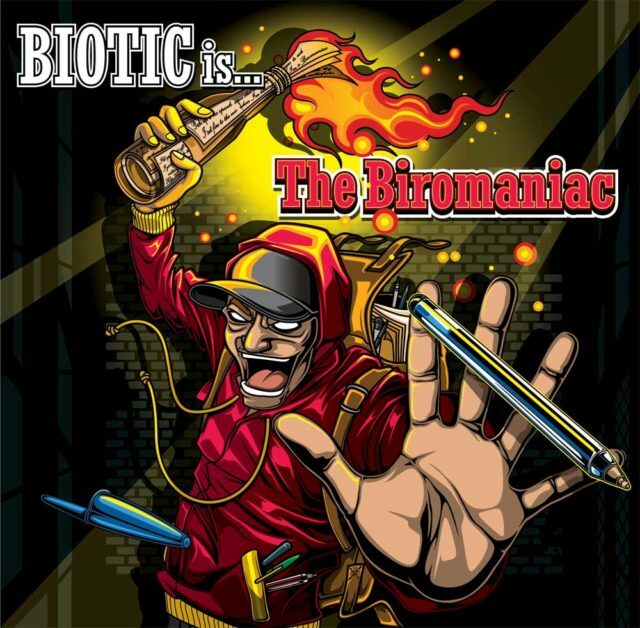 Biotic’s rhymeslanging stays amped throughout letting loose with the Bic as it bleeds the page. ozhiphopshop.com and through select stores throughout Australia. frontline: Bigfoot and Dwizofoz (‘Step back’), Pleura and Elaborate (‘Lyrical Combat’). mixed by Tristan Pearson (Clockwork Records) and mastered by Rob Shaker (Syllabolix). straight for your front window.